New regulations have been enacted in Spain setting out what UK citizens working or living in Spain after Brexit will be required to do to maintain their right to live and work there. The regulations apply to UK and Northern Irish citizens living in Spain before the exit date. Affected individuals must apply for a special work and residence permit within 21 months of Brexit. During this 21 month “transition period”, UK nationals will broadly maintain the same rights they currently have under EU law (except, for example, the right to vote and stand in elections to the European Parliament). Dentons’ lawyers in Spain have put together a summary of the key points of the regulations, which can be found here. 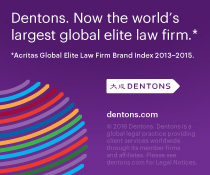 As the largest law firm in the world Dentons is uniquely placed to provide high-quality counsel to clients both within and outside Europe. Our experts have put together a number of resources, including a series of webinars and a Brexit jargon buster, which can be found here. Dentons’ lawyers in Spain have put together a summary of the key points of the regulations, which can be found here. In November 2018, the Migration Advisory Committee (MAC) issued a 'call for evidence', encouraging stakeholders to submit evidence in relation to any job titles or occupations in their associated sector/industry which they believed to be in shortage and, therefore, should be included on the Shortage Occupation List (SOL). The government has announced changes to modernise the "right to work" checks needed to avoid employing illegal workers in the UK. The changes will take effect from 28 January 2019. As you are probably already aware, EU nationals who want to remain in the UK post Brexit will need to apply for residence documentation under the EU Settlement Scheme. Application fees of £65 for adults and £32.50 for children (under the age of 16) will be charged, meaning the cost of applying for a family of four will be close to £200. With the UK leaving the EU on 29 March 2019, the EU Settlement Scheme provides the basis for resident EU citizens and their family members to obtain the immigration status they will need to remain in the UK. On 11 October 2018, the House of Commons introduced the Immigration (Health Charge) (Amendment) Order 2018, which seeks to double the Immigration Health Surcharge (IHS) from £200 per visa applicant, per year of visa validity, to £400 per visa applicant, per year of visa validity. The increase is set to come into effect in December 2018, subject to Parliamentary approval. This is particularly relevant to employers who provide Tier 2 sponsorship to non-EEA nationals. To minimise the impact of the IHS increase, employers should review their pipeline of new applications and in-country extensions and consider applying before the increase takes effect. What can employers take from the latest migration statistics? Earlier this month we blogged on the CIPD's latest quarterly labour market snapshot which found that the number of applicants per vacancy had significantly decreased across all skill levels in the last 12 months. The ONS has now released its August quarterly report on the UK migration statistics for the year ending March 2018 and the report highlights some interesting shifts in the patterns of EU migration in and out of the UK. According to CIPD's latest quarterly labour market snapshot, a slump in the number of EU citizens migrating to the UK has exacerbated skills shortages in the UK. Brexit is thought to be one of the reasons why the Tier 2 (General) restricted Certificate of Sponsorship cap has been reached. However, we may at last be seeing some reprieve from this.